Chris Skinner, portfolio specialist, takes a closer look at UK equity portfolios and finds that many funds have less exposure to UK companies than you may think. I was recently asked at a client meeting about the amount of exposure certain UK funds have to the UK stock market. Many investors would, quite rightly, think that most—if not all—UK equity funds would have the vast majority of their assets invested in UK-listed companies. However, my research showed that, as of December 2017, 64 UK equity funds had less than 90% of their assets invested in UK equities. Many major UK equity funds own US financial services providers, such as Citigroup, Russian energy firms, such as Lukoil, and US healthcare businesses, such as Prothena. The Investment Association fund sector definitions allow this, stating that a minimum of 80% of a fund’s assets must be invested in the UK market. But, if you aim to build diversified portfolios for your clients, you may also want to ask how UK is your UK equity fund? This is an important question. If you own the same US healthcare stock in your UK equity and US equity fund, for example, then you’ve doubled your exposure to the US company and reduced your overall portfolio diversification even though you’ve allocated to two different regional markets. 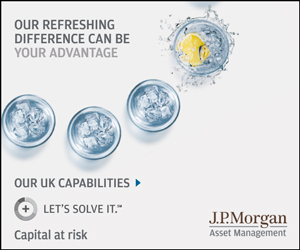 Furthermore, non-UK stocks will add an additional layer of currency exposure to your portfolio, which will add risk. There are 355 funds across the UK All Companies and UK Equity Income sector, investing in assets listed in the UK and across the world. It may, therefore, be worthwhile reviewing just how UK your UK equity fund actually is.